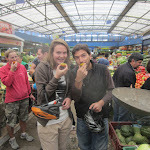 The bus ride from Salento was an endless succession of turns, downs and ups to the 2600 meters of Bogota’. I’m glad I did it during the day: I couldn’t have sleep anyway, and the scenery as well as the on-board movies were good. 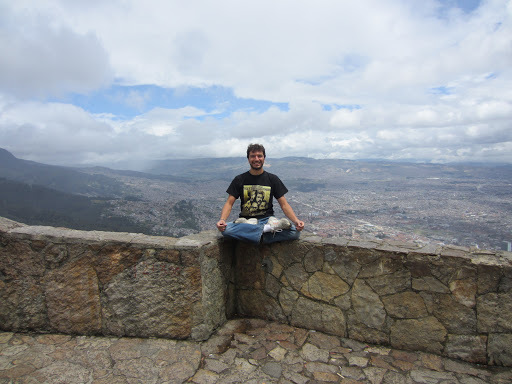 Allright, straight to the point: Bogota’ is the city that impressed me the least in my trip. It’s cold and huge (2600 meters and 8 millions inhabitants). It’s the only place in Colombia where I had to wear a jacket! Did I have a bad time in Bogota’? 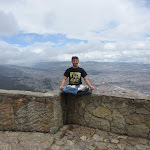 How and why CouchSurfing is great in Colombia, I’ve already talk about. 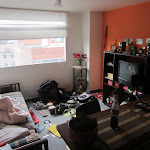 After more than a month in Latin America my level of Spanish made me feel comfortale enough to try my first CouchSurfing experience, so I looked for a host in Bogota’. The day after I sent few, selected requests (mainly girls with “SALSA” keyword in their profiles), I got a positive answer from Inga. She has been a fantastic host: funny, active, creative and also dramatic girl. She hosted me in the sofa’ of her cool apartment in a nice residential area of the city, and took me out with her friends (many other CouchSurfers) for a b-day party on Friday, and to Salsa dance on Saturday. After 2 days spent talking in my broken Spanish about pretty much *everything*, imagine my surprise when she picked up a phone call and started talking in perfect English!! Well, good practice for me and good fun too. I’ve learn lot of espressions like “es una chimba!” (something like “very cool!”) and “genial!” (same meaning). 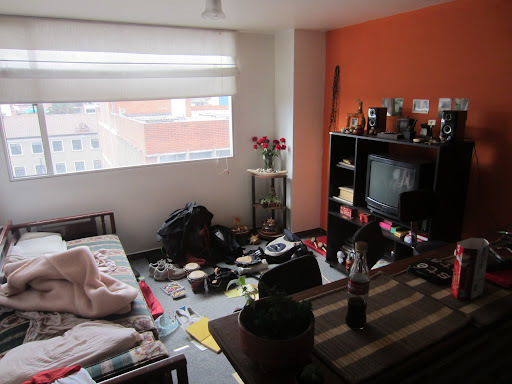 I left Inga after the weekend, to continue discovering Bogota’ from an hostel. 10 minutes after I checked-in at Platypus hostel, I thought I arrived to a madhouse. The first 3 people I met were far from this World. But it wasn’t a party hostel, so I didn’t run away like I did in Medellin. 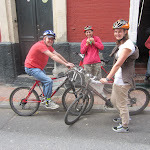 It ended up that we form a great group and visited the city together, like good tourists. 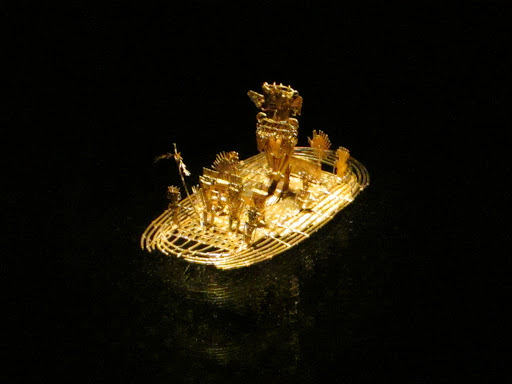 Here the best things I saw in Bogotá. I recommend anyone visiting Bogotá to go for it. This tour is run by the friendly and interesting Mike, an American (ex?) jurnalist with a real passion for this city. A city where the bike culture is so big that each Sunday morning the main streets are closed to cars. In 5 hours of easy-riding (don’t worry about the red lights and cycling in the sidewalks or in the wrong ways, it’s part of your Colombian experience) I saw places I would not even think about going to visit. 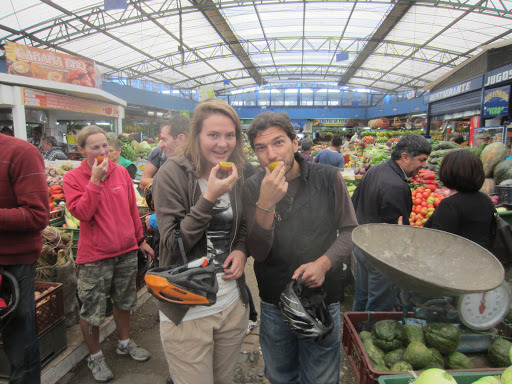 Beside some of the most important sights, Mike took us to interesting destinations like the market of palo chemao, where he let us try all the Colombian fruits we don’t have oversea… like guanabana, maracuya, zapote… Mike put all these fruits available with pictures in this page. 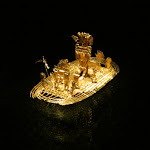 I’m very happy I could join (and understand) a guided tour that saved me from getting bored like hell reading the description of the thousands gold objects in display at the museum. Don’t try to walk up there: the walkable road has been closed apparently because all the bandits of Bogotá were spending the days waiting for gringos. 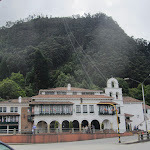 The cable-car is much more charming and the view up there is worthed the price of 14400 COP (about 7 USD, 6 EUR), a bit high for Colombian standard. 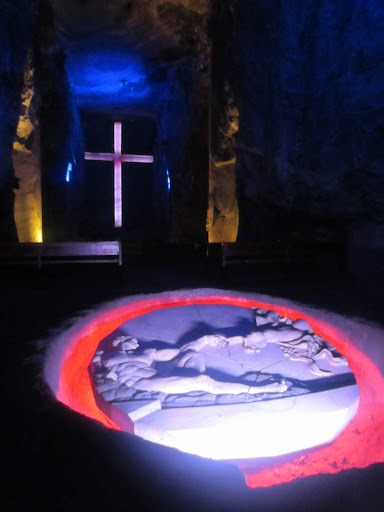 How you like an underground Roman Catholic church built 200 meters underground in a salt mine? 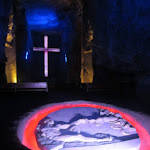 This is the Salt Cathedral of Zipaquirá, a stunning visit 1.5 hours north from Bogotá. 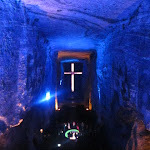 The guided tour is very well prepared and the beauty of the place makes you forgive the bad smell.